addition to abundant attached parts such as belt 2 and mall belt Velcro type gun keeper holds firmly and can be equipped in various positions! Imagine a sheath (sheath), with a variety of attached parts, you can have multiple equipments such as back / waist / leg / tactical vest! 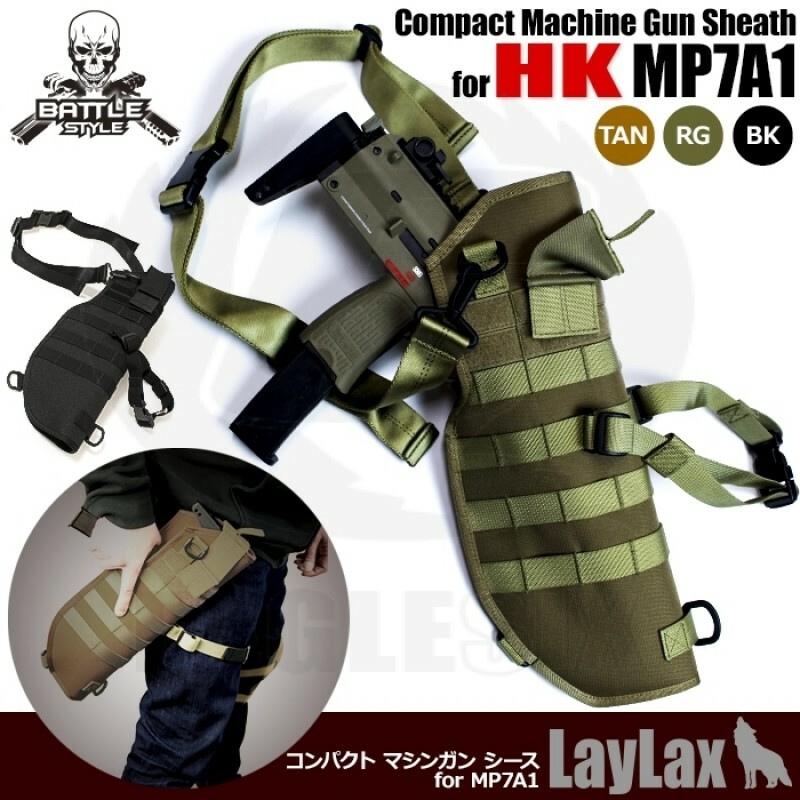 "Shot Gun Sheath Middle for Briquer "Similarly to the shotgun which adapts to various styles and can be inserted deeply into the body length firmly, compactness as the name of the compact machine gun, just dropping it into Suga I will. So, first firmly If you can not hold does not have a holster meaning of! such as MP7 if there is this Battle style using a compact machine gun to a new dimension! Make your MP7A1 a more encouraging buddy!